I am in desperate need of a workbench after moving into our new home. My previous bench was , and probably still is, attached to the basement wall. It has worked out for the best, because I need to custom fit this bench for the space that I have. I have been working on the design for a couple of weeks now, and I think I have finally settled on how the bench shall be built. I am a big fan of the Nicholson bench, and have been reading/watching other woodworkers blog about their versions of this bench. Every one and their grandmother (I’m sure there are some grandmother woodworkers out there) have been jumping on the Roubo workbench style. I have to admit, for a while I was going to go this route…that was until I came down to earth and started focusing on what would be most functional for me. Rob’s blog over at Logan cabinet shoppe is a big influence on the design of my bench. I have watched his workbench videos over and over again. I also studied Chris Schwarz’s workbench book a great deal to make sure he would approve. There have been a couple of other woodworkers out there that have found great success with the Nicholson style. 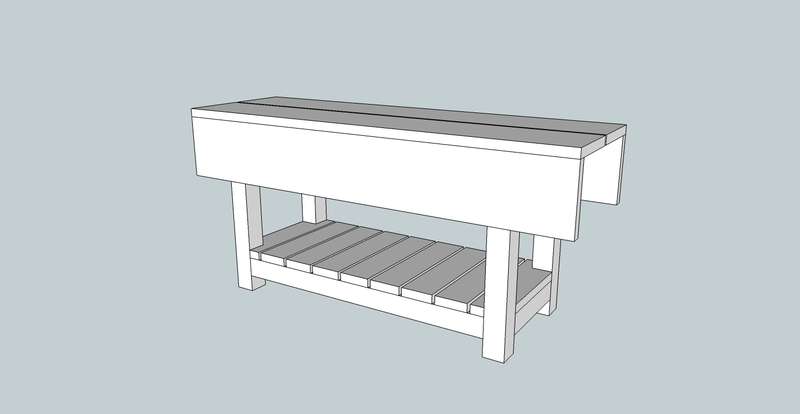 You can download a model of my version of the Nicholson bench here from the 3D Warehouse. I think I changed my mind about 12 times in the past couple of weeks regarding every element of the design. Everything from lumber thickness, tenon placement & size, shelf design, overall length, etc. I get really involved during this process and it is pretty much all I think about most of the day. I ended up making the overall length of the bench at 6′. I felt this was the best for the amount of space that I have…I need to save room for that Anarchist Tool Chest that I am planning on building in the future. I also need to save room for my snowblower…it has seen more saw dust than snow this year. 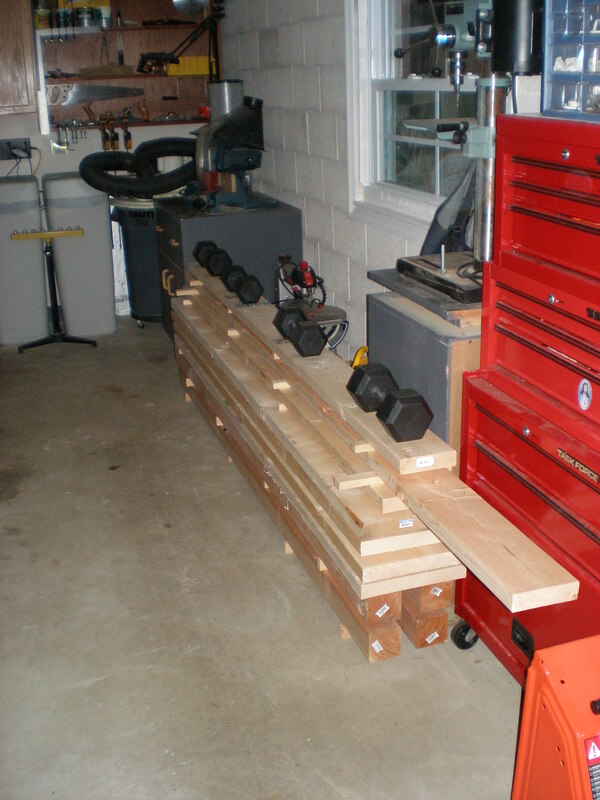 I picked up the rest of the lumber last week, and it is currently acclimatizing in the garage. 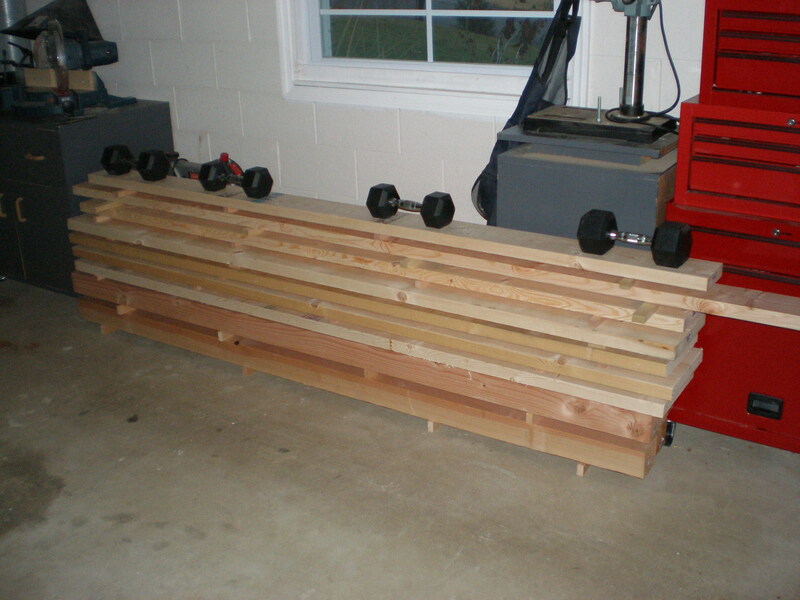 I went with construction lumber to keep the cost down…I prefer to use the good stuff for furniture projects. This is going to be my workhorse, and it is going to take a beating. I don’t want to lose sleep over it when I ding it up. I had to go to two stores to find what I needed. At one of the stores, I had to cut two 16 footers in half in the parking lot in order to get them in my Taurus. The majority of the base will be constructed of douglas fir, and the rest will be the mysterious ‘whitewood’ sold at the big box stores. 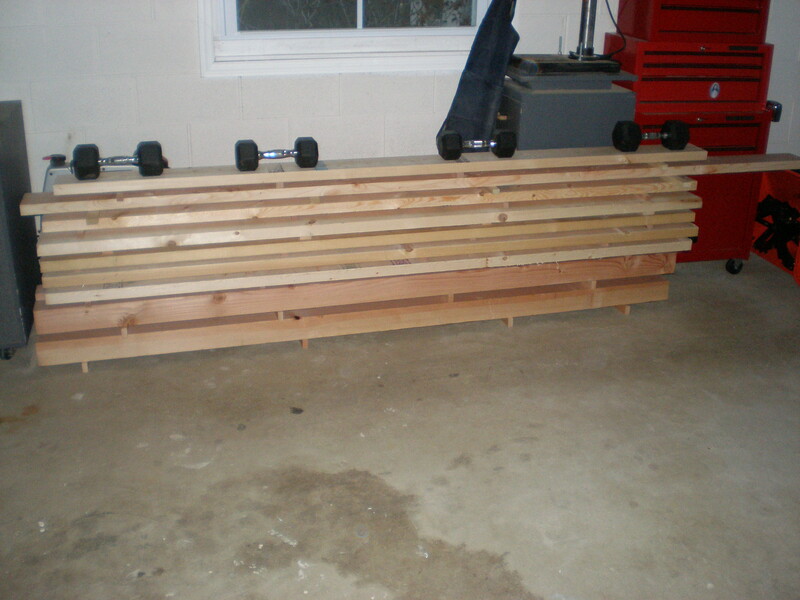 The first step in the project will be to set up the legs with their mortises. As I wait for them to acclimate to my shop, I will try to post some more tool reviews. I recently purchased some new hand tools, and would love to let you know what I think. This entry was posted in hand tools, VCF, woodworking, workbench and tagged hand tools, Nicholson, woodworking, workbench, workshop by villagecustomfurniture. Bookmark the permalink.